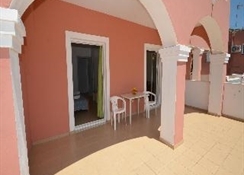 These fun and flamboyant pink fronted apartments offer guests a relaxing stay whilst visiting the island of Corfu. 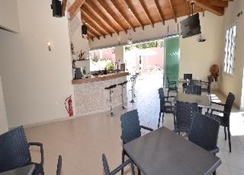 Nestled in lush gardens the complex is situated less than 900 yards from Ipsos Beach.The small and intimate hotel¿s external space provides guests with shaded areas to relax in providing the ideal spot to unwind on one of the comfortable sun-loungers. Guests can enjoy tasty refreshments and light snacks throughout the day from the bar. The 19 guestrooms also have kitchenettes allowing for self-catering. They also have air conditioning and LCD TVs for guests¿ convenience. The rooms also boast a private balcony and offer views out of the sparkling waters of the Mediterranean. 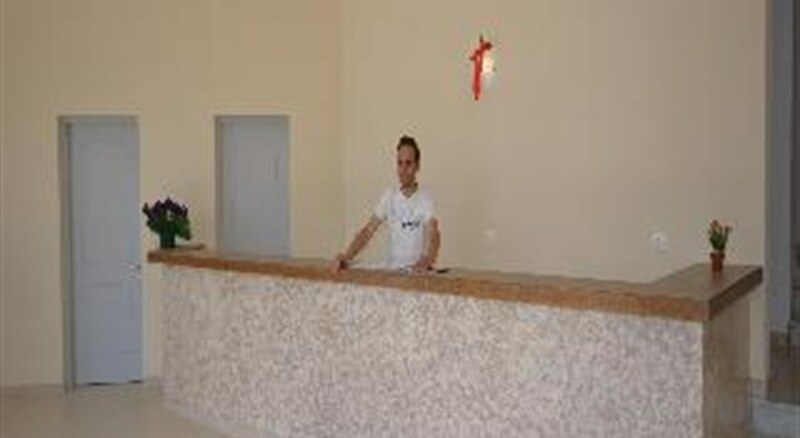 The hotel boasts an ATM service as well as complimentary WiFi internet in public areas. 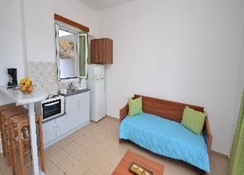 The rooms offer bright and airy accommodation and are tastefully furnished. 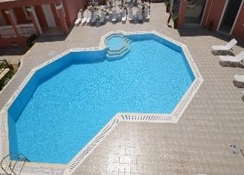 Facilities include an en-suite bathroom, air conditioning, balcony, complimentary WiFi, kitchenette and LCD TV.